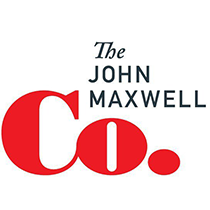 John Maxwell explains what influence looks like and how to influence others in a productive manner. In the classic Christmas film, It's a Wonderful Life, George Bailey is given a tremendous gift: the opportunity to see what life would be like without him. As he wanders through a world that has no memory of his existence, George is dismayed by the plight of his friends and family. Devoid of his influence, their lives lack the warmth and richness he is accustomed to seeing. As George struggles to come to terms with his bleak surroundings, Clarence, his guardian angel, sums up the lesson that he hopes George will absorb from the experience. "Strange, isn't it? Each man's life touches so many other lives. When he isn't around he leaves an awful hole, doesn't he?" There's no denying the influence one life has on the world. In fact, sociologists tell us that even the shiest introvert will influence 10,000 people over the course of his or her lifetime. Our lives shape the people around us in profound ways. Whether we intend to or not, we affect others through our influence. 2. We choose the nature of our influence. We have freedom to select the influence our lives exert on the world around us. Our backgrounds vary, as do the environments in which we live. Yet, at the end of the day, we all have personal responsibility for the way we conduct our lives. As my friend John Wooden says, "There is a choice you have to make in everything you do. So keep in mind that in the end, the choice you make, makes you." 3. We have to work to earn the influence we desire to have. While everyone exercises influence, the size and strength of our influence depends upon our effort. No one leads well without paying the price of discipline. As we push ourselves to grow and to learn, we enlarge our sphere of influence. Provide them with a sense of belonging and security. Knowing what's important in my family relationships guides my interactions with loved ones. As I spend time with them, I intentionally act out my values in order to show them love, train them for life, and provide them with security. It's meaningless to know our values if we don't translate them into behaviors. Influence happens through actions, not intentions. When we fail to live in accordance to our values, we lose self-respect, and success apart from self-respect only leads to misery. 3. Use All Possible Avenues to Leverage Your Influence. As leaders, we're always on call. Our influence doesn't pause when we step off the stage or exit the boardroom. When I'm hired for a speaking engagement, my primary duty is to deliver an exceptional presentation, but I have numerous additional opportunities to exercise influence. I can influence my hosts by treating them with courtesy and care. I am able to influence the audience at a deeper level by interacting with them before and after I speak. I can even impact fellow presenters by offering them attentiveness and feedback.4. Choose Those Who Can Best Multiply Your Influence to Others. The ability to develop capable successors is a hallmark of great leaders. Ultimately, if your people can't do it without you, then you haven't been successful in empowering other leaders. The final test of leadership is how your team performs in your absence. To strategically multiply your influence, add value to leaders, not followers. Select potential leaders who are rivers instead of reservoirs. You want to see your leadership flow through them to others rather than being stockpiled and confined. What do potential leaders look like? They think differently than followers. They possess strong relational skills. They add value to others. Teach Them to Reproduce Your Influence. We have all heard, "When the student is ready, the teacher appears," but I also believe, "When the teacher is ready, the student appears." We cannot expect up-and-coming leaders to soak up our influence by osmosis; they need to be coached and challenged. Good teachers supply resources, give assignments to stretch their students, and require accountability. We choose the nature of our influence. We have to work to earn the influence we desire to have. Use All Possible Avenues to Leverage Your Influence. Choose Those Who Can Best Multiply Your Influence to Others. Is Your Church Without a Senior Pastor?